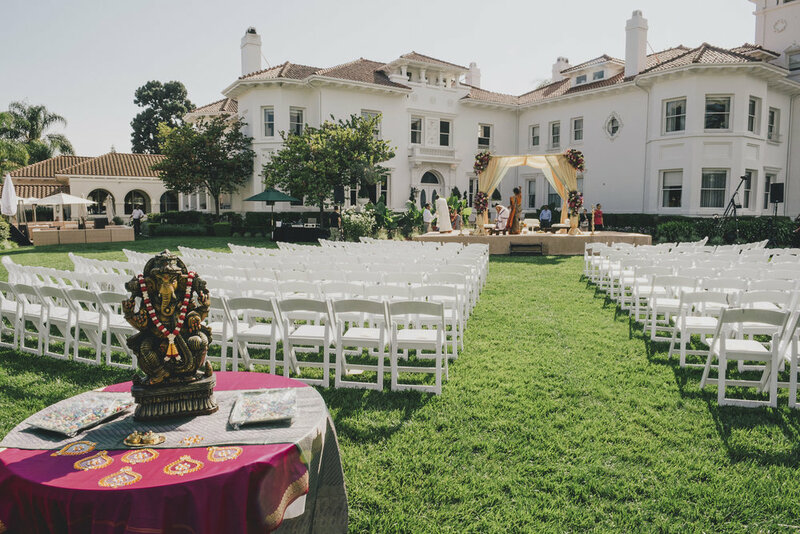 We were proud to feature Jessica & Ganesh's wedding, which took place at Hayes Mansion. Exquisite henna was created by Neeta Sharma, Mehndi Designer. The decor was by Fine Linen Creations, and the catering was provided by Silver Spoon and Jewel of India. The photography is by Sarah Maren, and wedding planning was by Anais Event Planning & Design. Bridal hair and makeup is by Laenka by Myrium. Music and Lighting by AVL 123, and cake by Margaret's French Bakery. Can you find all of the designs in the mehndi? Romantic uplighting or the dance floor! The happy couple in their gorgeous traditional wedding outfits.